If you combine our oven/bbq/fridge cleaning with any steam cleaning service. Are you looking for the best professional cleaning company in town? Well, you need to pick up the phone and make a reservation with Oven Cleaning Richmond. Our trained and carefully vetted professional cleaners are going to live up to even the highest expectations and cover your needs at one hundred percent. We will never fail to be a hundred percent professional in all manners that we are hired to carry out. The outstanding client reviews that we receive on a regular basis will be enough proof for the superiority of our cleaning services in Richmond. 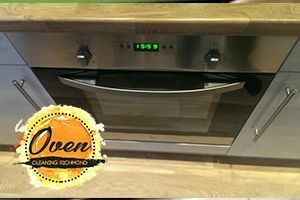 Oven Cleaning – we will degrease, remove stains and food residue from the inside and outside of your oven and stovetops and make your favourite piece of appliance as well as if it has just come from the store. BBQ cleaning – get the most out of your barbequing experience by simply signing up for our expert’s help. We will wipe your BBQ clean so that you do not have to worry about the hygiene of the preparation process for your meat and vegetables. Fridge Cleaning – you should not make compromises with the state in which the fridge in your kitchen is – after all that’s where you keep most of your food products. We will wipe every surface clean, from the inside and the outside. Those are just a few of our best-sellers. Feel free to check out our complete list of services and if you do not find a solution to your problems, do not despair. Just give our friendly and helpful staff a call and we will most likely be able to figure something out. 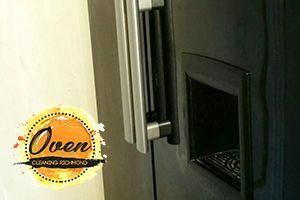 We at Oven Cleaning Richmond are here to help you in every situation, no matter how dire it may look. We are a fully licensed and insured professional cleaning Richmond based contractor. Household owners and residents from around the area have already learnt that they can count on us one hundred percent. But we help commercial enterprises here too. Our office cleaning in Richmond service is very much sought after because it provides efficiency and cleanness at all times without disruptions of the business process of the company hiring us. Our trained and very discreet professional sanitation technicians will come to your office after your work hours are over, vacuum, take out the trash, scrub the toilets and clean the common areas so that you do not have to worry about the state of your work place. As simple as that. Hiring Oven Cleaning Richmond is going to be one of the wisest things that you have done for your home. Having a professional cleaning company by your side comes with a lot of perks, but the main ones are that you will be able to enjoy a thoroughly clean and hygienic household without putting any effort into making it so. What is more, you are going to save time and energy that you can invest in many other, more enjoyable and productive matters – dedicate them to your family, to catching up to some work at the office or just enjoying your favourite hobbies. You will never regret such a decision. Reservations can be made for any time of the day, any day of the week. Our friendly and helpful client support can be reached around the clock via phone and email. Free no obligation quotes are delivered to anyone interested upon contact, so just ask for yours and leave everything else to the experienced hands of our professional cleaners in Richmond.